The DTGPSU15X-CC series of AC/DC desktop power supplies offers up to 15 watts of output power in a 3.54~3.94” x 2.30” x 1.29” compact package. This series consists of single output models with a universal input voltage range of 100~240VAC and high efficiency and reliability. 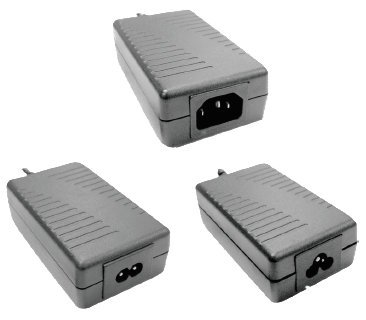 Each model in this series has over voltage, over current, and short circuit protection and passes LPS. 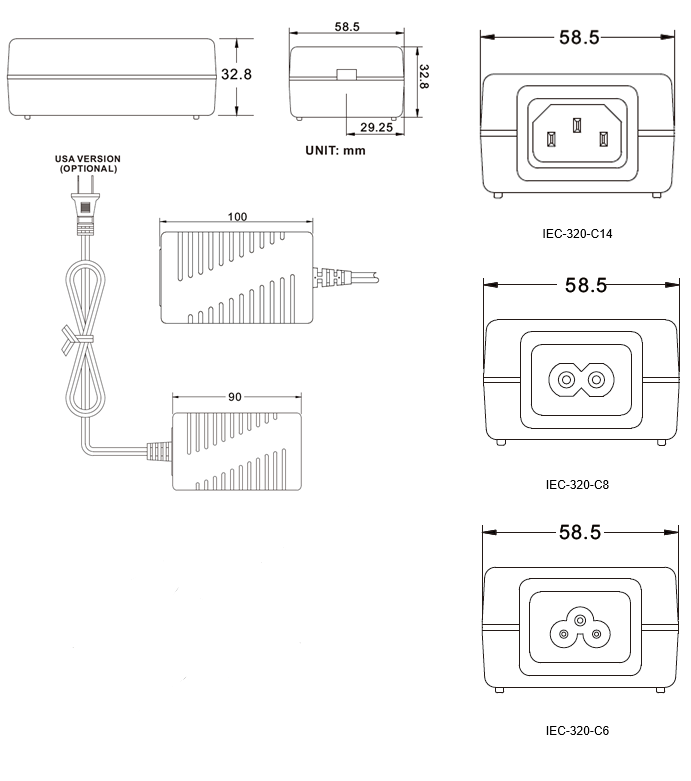 IEC-320-C14, IEC-320-C8, IEC-320-C6, or Mains Cord AC inlets are available for this series and there are UL60950-1; CSA C22.2, EN60905-1 and IEC60950-1 safety approvals. Please call factory for order details. Notes: 1. “X” in model number indicates AC inlet. “X” can either be “A” for IEC-320-C14, “B” for IEC-320-C8, “C” for IEC-320-C6, or “D” for Mains Cord Input. “Y” in model number indicates Mains Cord type. “Y” can either be “U” for American plug or “E” for European plug. “Y” will only change if “X’ is selected as “D”. 2. Optional output connectors available.